Integrate Google Drive, Evernote, Basecamp, Dropbox, and other apps with OneDrive. Protect and consolidate all your cloud accounts. Trusted by more than 3000 organizations. Have access to Salesforce, Evernote, Basecamp, Oracle Sales Cloud, Gmail, Google Docs and more through Microsoft Office 365. 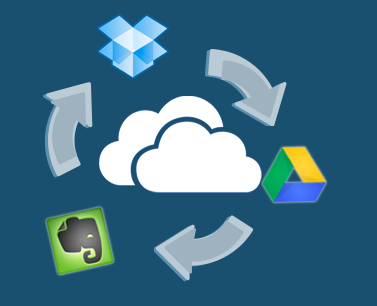 Integrate other cloud storage platforms such as: Dropbox for Business, Box Enterprise, Egnyte, Google Drive and Google Gmail; with Microsoft Office 365. Backup and consolidate all your cloud apps to a central cloud storage like Sharepoint or Amazon S3. No data will be lost, while being under your control.